Birds of Prey is starting to gain some momentum with production rumored to start at the beginning of next year. Batgirl is expected to be introduced in the movie, which is set to star Margot Robbie as Harley Quinn. 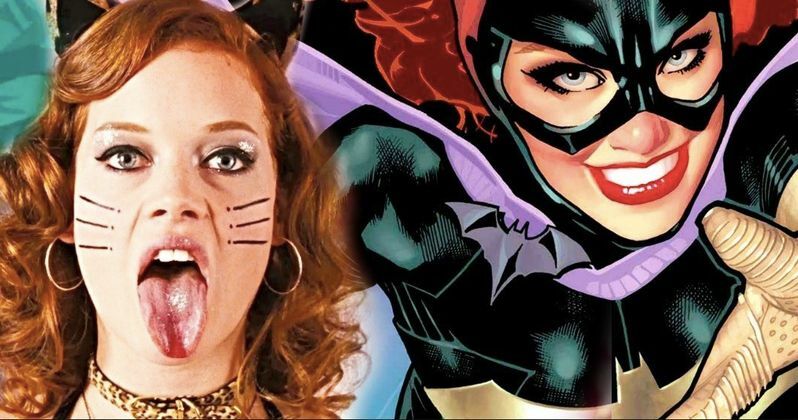 Suburgatory actress Jane Levy wants the role of Batgirl and she has a pretty interesting reason about why she should get chosen for the part. There's also the standalone Batgirl movie that still may or may not be in development at this time, so Levy would take that role as well if she is chosen. "Y'all keep askin if I am gonna play batgirl and I think it's probably a good idea because I can do A LOT of pushups." Jane Levy's tweet about taking on the Batgirl role in Birds of Prey has picked up some traction amongst DC fans. Since it was posted, it has been liked nearly 2,000 times and retweeted almost 200 times with a bunch of comments sharing support for the young actress. While the casting of Batgirl more than likely won't be made by the fans, there's a pretty good chance that all of this news has reached DC Films and Warner Bros. by now, which could land the actress an audition. Margot Robbie is confident in Birds of Prey, but there's still no guarantee that the movie will make it to theaters. Even with Cathy Yan on board to direct from a script written by Christina Hodson, there's still no official confirmation that the project is moving past the in-development phase. Hopefully, DC and Warner Bros. will make an announcement about the Birds of Prey project in a few weeks at San Diego Comic-Con. If and when Birds of Prey gets off of the ground, the role of Batgirl is going to be a big one that could lead to a standalone film as well. Jane Levy certainly has the look of Barbara Gordon down, but can she pull off all of the physically demanding stunts? Doing a lot of pushups is a great talent, but that talent alone won't get Levy the part. However, she is down to get into the DCEU and flex her muscles as Batgirl and she certainly has the fan vote, so anything is possible at this point in time. You can check out the Birds of Prey comments below, thanks to Jane Levy's Twitter account.